The Dizzy Feet Foundation (DFF) is proud to announce that the 7th annual National Dance Day will take place on Saturday, July 30 in Los Angeles, Washington, D.C., and Orlando. The event will continue the tradition of last year’s ground-breaking alliance of some of the nation’s leading cultural organizations who are joining together to promote the benefits and joy of dance for everyone. This year, DFF is proud to also partner with Heelys to help encourage Americans of all ages to incorporate dance into their lives. “Heelys is thrilled to partner with Dizzy Feet this year for their Annual National Dance Day.” says Liz Mandracchia, VP of Marketing, Heelys. The Dizzy Feet mission to promote freedom of expression through dance is a natural alignment to the core values of the Heelys brand. Heelys encourages kids and Americans of all ages to explore their freedom and lead active and healthy lifestyles through the benefit of movement." In Los Angeles, The Music Center is partnering with The Dizzy Feet Foundation to present the west coast’s flagship free celebration of National Dance Day for the fifth year in a row, featuring a dance extravaganza with both performances and participatory elements. The event will take place in Grand Park in Downtown Los Angeles from 10:00 a.m. – 2:00 p.m. 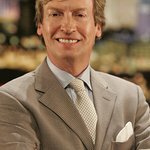 Dancers of all skill levels and ages are invited to join So You Think You Can Dance creator Nigel Lythgoe along with cast members from the show who will lead the crowd in the official National Dance Day routines. The day continues with the opportunity for audiences to experience and engage with some of Los Angeles’ best dance companies, as well as enjoy dancing in the Grand Park fountain with “Baby Loves Disco.” For more information, visit musiccenter.org/ndd. In Washington, D.C., the John F. Kennedy Center for the Performing Arts partners with The Dizzy Feet Foundation for the fourth year in a row, headlining a full day of free festivities right in the heart of the nation’s capital. This year, events will take place on the Kennedy Center’s outdoor North plaza along the Potomac River and Grand Foyer with performances and dance lessons all afternoon and a free social dance party going into the night with “Dancing Under the Stars.” Confirmed talent includes tap dancer, and singer song-writer Evan Ruggiero and local artists Bowen McCauley Dance, DC Bhangra Crew, the O’Neill-James School of Irish Dancing, Capoeira DC, and the Work It! Fitness DIVAS. More information can be found online at kennedy-center.org/calendar/event/XQNDD. In Orlando, the Dr. Phillips Center for the Performing Arts is thrilled to begin a new partnership with The Dizzy Feet Foundation to bring dance and healthy living opportunities to the public in honor of National Dance Day. The free community dance festivities will take place outside the city’s new state-of-the-art venue in downtown Orlando from 8:30-11AM. Non dancers and dancers alike are invited to join Cyrus “Glitch” Spencer from So You Think You Can Dance for participation in the official National Dance Day routine. Additional performances will feature an educational behind-the-scenes experience from Orlando Ballet, as well as, students from the Dr. Phillips Center Florida Hospital School of the Arts summer programs. Orlando participants will also have the opportunity to take part in a free dance class from the School of the Arts. Additional details will be confirmed in the coming weeks. As its official contribution to National Dance Day, each year The Dizzy Feet Foundation produces and distributes instructional videos featuring dance routines for the public to learn. The Dizzy Feet Foundation encourages anyone and everyone to learn the routines and perform them on National Dance Day. The Dizzy Feet Foundation also encourages the public to submit videos of themselves performing the routines. Those creating their own National Dance Day event can submit their event on a national list for others to search. More information on how to become an official National Dance Day event and submitting National Dance Day videos can be found on The Dizzy Feet Foundation’s website. The Dizzy Feet Foundation was founded in 2009 by producer Nigel Lythgoe and director Adam Shankman, among others, to support, improve and increase access to dance education in the United States. Guided by a board representing all aspects of the American dance community, the foundation provides scholarships to talented students to support the next generation of professional dancers. The Dizzy Feet Foundation also strives to support, improve and increase access to dance education through the community dance programs they fund that expose children in low-income areas to the life-long benefits of dance.